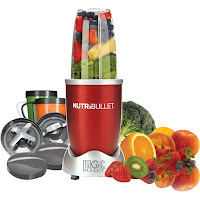 The Magic Bullet NutriBullet NBR-12 12-Piece High-Speed Blender/Mixer System effortlessly pulverizes fruits, vegetables, superfoods and protein shakes for quick and easy healthy nutritious drinks. 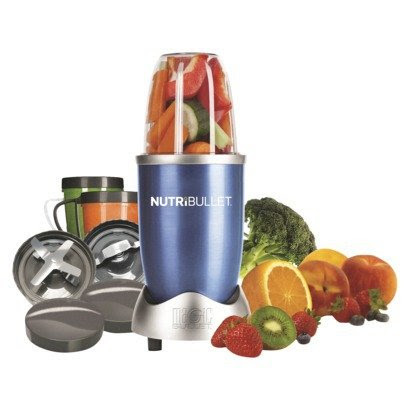 The NutriBullet NBR-12 combines a powerful 600 watt motor with cyclonic action and patented extractor blades to break down and pulverize fruits and vegetables (including frozen!) along with stems, seeds and skins to retain the full nutrient and fiber content in your drink. 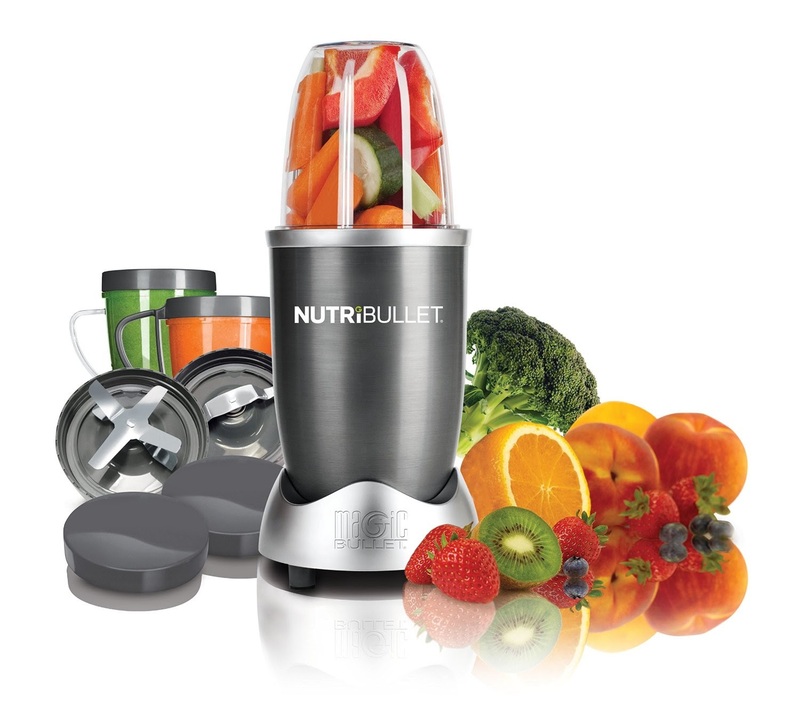 The NutriBullet NBR-12 is easy to use – simply add your fruit/veg/nuts/seeds/ice along with some water and then let the machine do the work for you, extracting the ingredients into a smooth nutritious drink in a matter of seconds. The NutriBullet NBR-12 comes with 1 tall cup and 2 short cups for making varying drink sizes and you also get 2 Stay-fresh re-sealable lids so you can take your drink with you on the go! The Magic Bullet NutriBullet NBR-12 is capable of shredding, blending, grinding and chopping. It comes with an extractor blade, milling blade, 1 handled lip ring, and 1 regular lip ring. To help get you started, the NutriBullet NBR-12 also comes with a User Manual/Cookbook with recipes and a Pocket Nutritionist book. Because the NutriBullet NBR-12 breaks down and blends the whole fruit/veg, there’s no messy pulp to clean up afterwards as there would be with a juicing machine. The Magic bullet NutriBullet NBR-12 is available in a great range of colors to choose from, including grey, blue or red.